You can reach the city by air, sea, rail, or road ! Thessaloniki currently enjoys direct flight connections with the following cities. 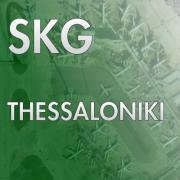 These are the direct flights to Thessaloniki as they currently appear on skyscanner.com. Airline schedules change often, so check with your favourite travel website for latest schedules and best price offers.